The TFA series True Front Access batteries incorporate all of the same technology found in the proven TEL series Long Duration batteries, but are packaged in a unique, patented True Front Access container. The True Front Access® design provides a direct welded connection to the terminals for improved performance, reliability, and less maintenance. This terminal also features the C&D Ohmic ring® which provides the most reliable testing location for technicians. 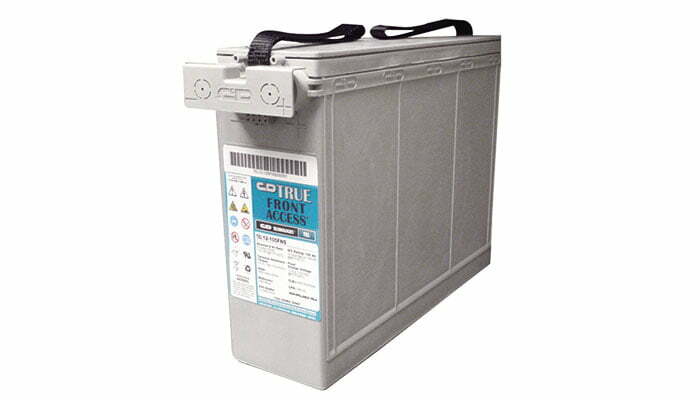 TFA batteries range from 100Ah to 202Ah, fit most 19” and 23” Telecom racks, and also fit into virtually any Telecom cabinet or enclosure. Max voltage allowed = 1.4% RMS (4% P-P) Max current allowed = C20/20. See individual datasheets for more detailed specification including discharge tables.